Get a wide variety of essential vitamins and minerals your body needs with DEVA Vegan Multivitamin. Balanced, multiple vitamin and mineral formula supplemented with green foods/special herbs formulated without animal derivatives making it suitable for vegans / vegetarians. 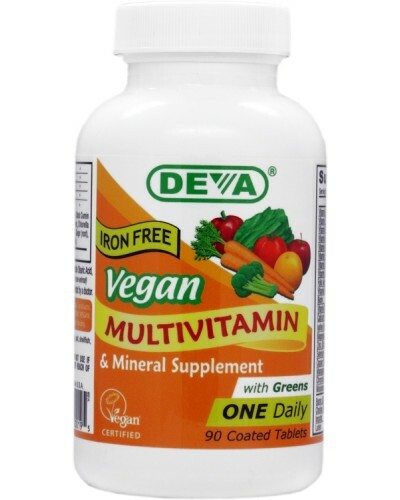 DEVA Nutrition is pleased to offer this high potency, balanced multiple vitamin and mineral suitable for vegans, vegetarians and, anyone who prefers an animal-free multivitamin supplement for their nutritional needs. Besides a wide range of essential vitamins and minerals provided at 100% DV or more, Vitamin B-12 is provided at 100 mcg per serving (1666% DV) who feel taking these nutrients on a regular basis is important for their health and well being. It contains no iron for those who seek an iron-free multivitamin. 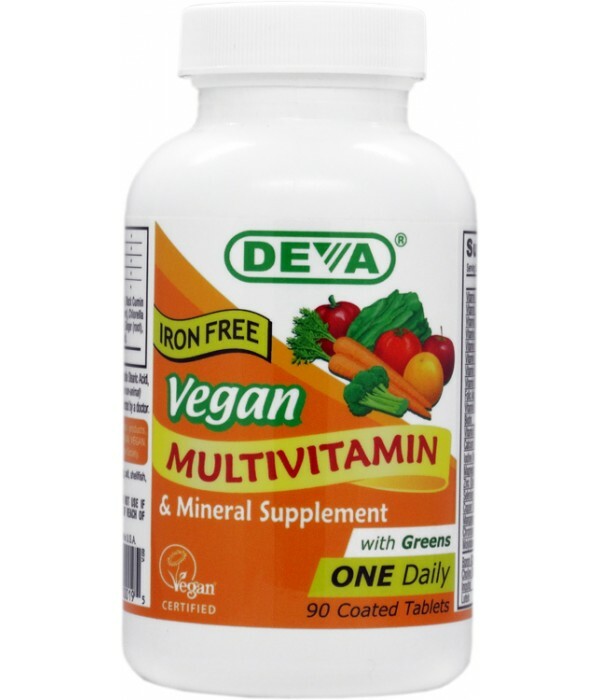 DEVA Vegan Multivitamin is 100% animal free, registered VEGAN by the Vegan Society, and guaranteed for purity, freshness and labeled potency. DEVA Vegan Multivitamin is an exceptional quality multivitamin that combines one-per-day convenience with its reasonable cost. Each bottle can last up to 90 days making DEVA Vegan Multivitamin very affordable at this special price. Remember DEVA Multivitamin is 100% vegan, vegetarian and is registered with the Vegan Society, the non-profit organization that actually invented the word "vegan".